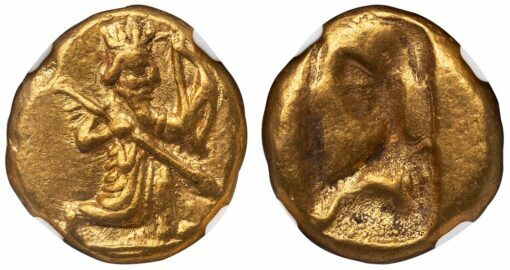 PERSIA, ACHAEMENID KINGS. Xerxes II-Artaxerxes II, ca. 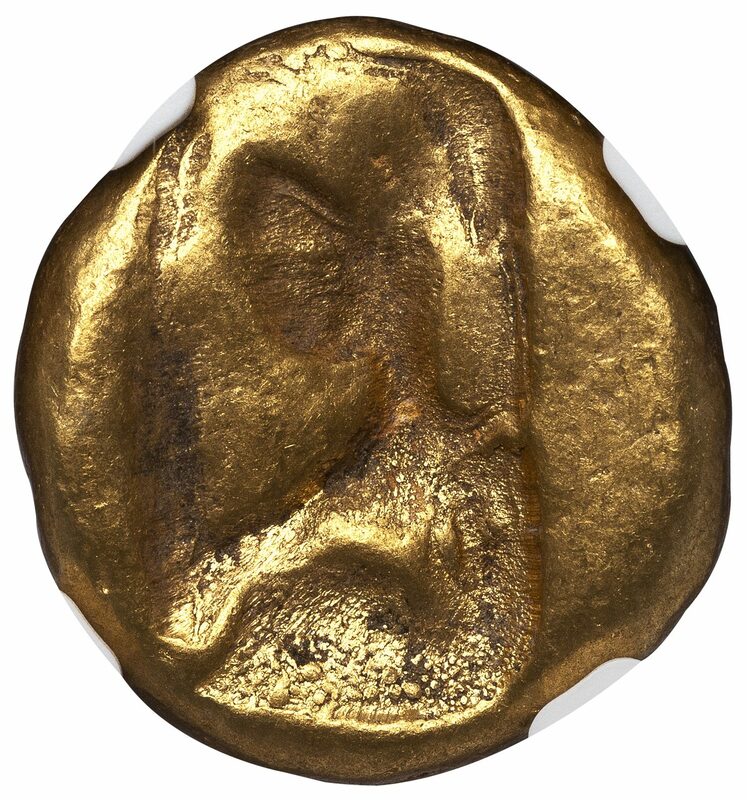 420-385 BC. 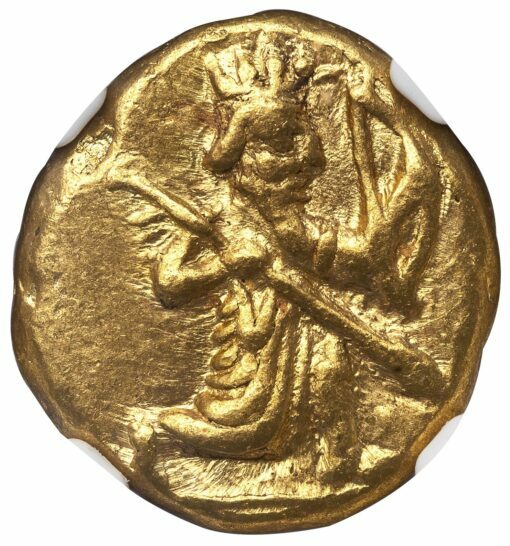 Gold Daric, 8.39 g., 16 mm. Obv. King running right, carrying bow and spear. Carradice Type IIIb, group C; Sunrise 28. 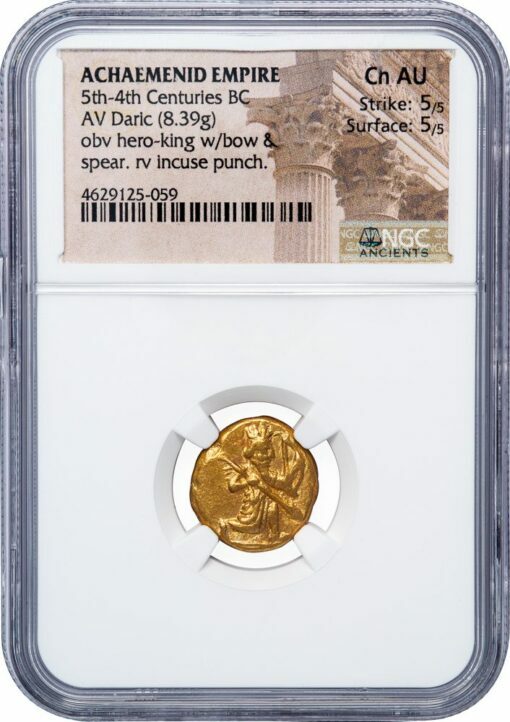 NGC graded CHOICE AU, Strike 5/5, Surface 5/5, a exceptionally centered coin showing the entire figure of the king and the bow.